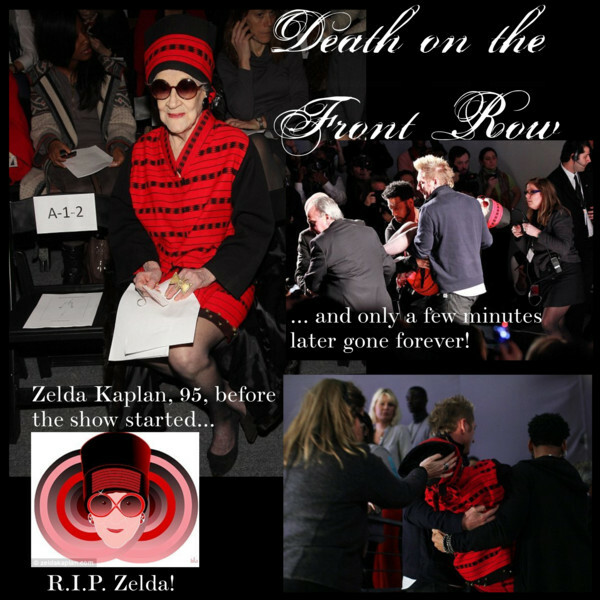 When I go, I would like to do it the Zelda Kaplan way who collapsed in her front row seat at the Joanna Mastroianni’s F/W 2012 fashion show this week in NYC and died shortly after… here’s to a fashionable life! A longtime fixture of the NYC arts scene, Kaplan was known for her unique, African-inspired fashion style. A continent that she had visited regularly. Her social calendar was remarkable for someone half her age, but her lively spirit and energy were outstanding. 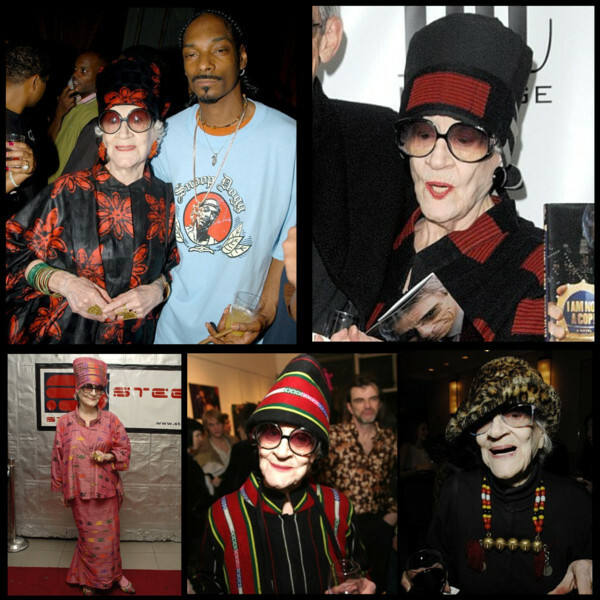 Attending parties, fashion and art events up until her death, she was once called “New York’s oldest most beloved night owl” by the New York Times. “… For the last 40 years, Zelda Kaplan has been a staple in the New York social scene. She is best known for her sense of style and her incredible joie d’vivre. She was also known for her generosity and the many charities she worked with over the years. 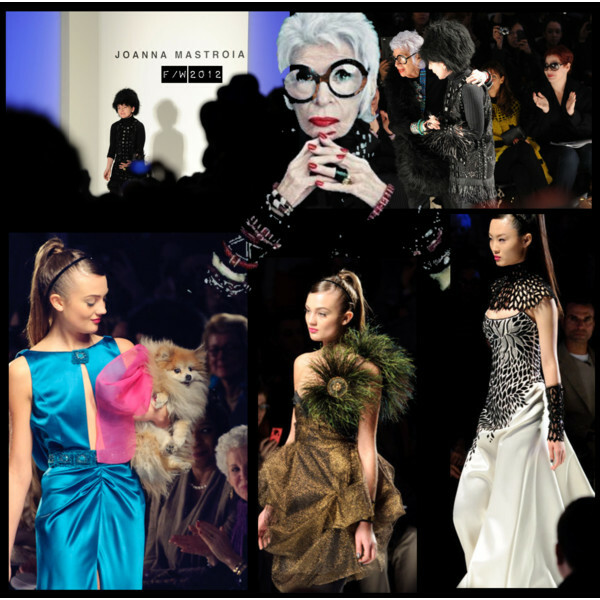 For her F/W 2012 show, Joanna Mastroianni has gone on a journey with another 90 year old “It”-Girl, famous Iris Apfel who has been the muse for this glamorous collection. Seated front, Apfel’s wardrobe is the inspiration and only the best fabrics would do. Leather, cashmere, silk taffeta, and embroidered organza could do the deal. Joanna’s collection is all about attention to detail.